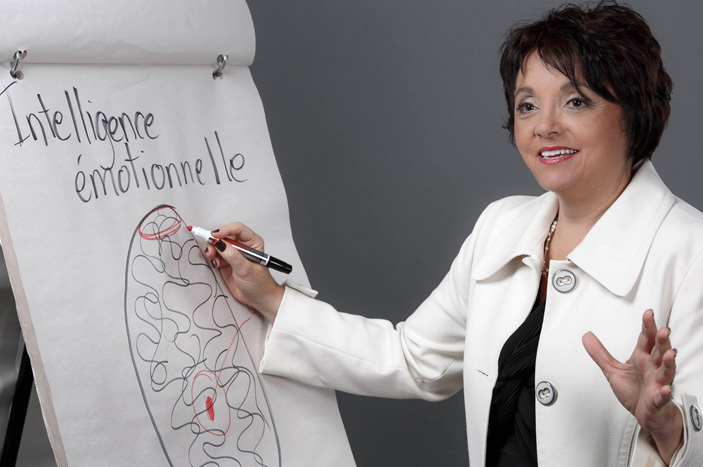 Pierrette Desrosiers is the first work psychologist and coach specializing in the agricultural sector in Canada. She is fascinated by the many human challenges facing the owners of family farms. Why did she become a specialist psychologist for family businesses? Raised in a farm family and married to a farmer for over 30 years, Pierrette Desrosiers has always been interested in the field of agriculture. She has been active as a work psychologist, speaker, trainer and coach for the last 18 years. Her years of professional interventions among farmers have caused her to appreciate the startling increase in the levels of stress and psychological distress, as well as the urgency of the situation. 30% of family businesses will pass the 2nd generation and only 10% will survive the 3rd generation. A strong public agricultural speaker, imaginative and recognized by the entire agricultural sector, she sets herself apart by her thoroughness, her humorous approach and the pertinence of her remarks. She firmly believes there is a marked similarity between the agricultural and corporate sectors. Through her interventions, businesses begin to implement a “culture” promoting healthy human relations and an enviable work atmosphere.